An annual celebration of food and cooking, Selfridges’ Meet the Makers series showcases a range of food and drinks in their fabulous food hall, and hosts some one-off dinners featuring some of Britain’s most exciting chefs. 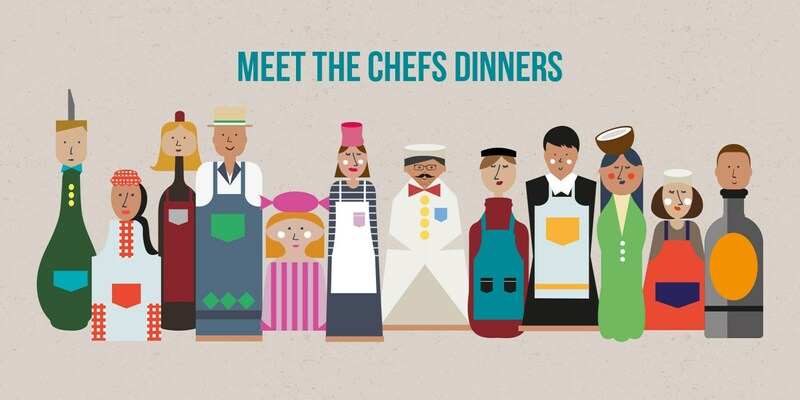 Discover more about each of the Meet the Chefs dinners taking place this September. Mark Moriarty may be a name you might not know just yet, but one we’re sure you’ll be hearing more of. 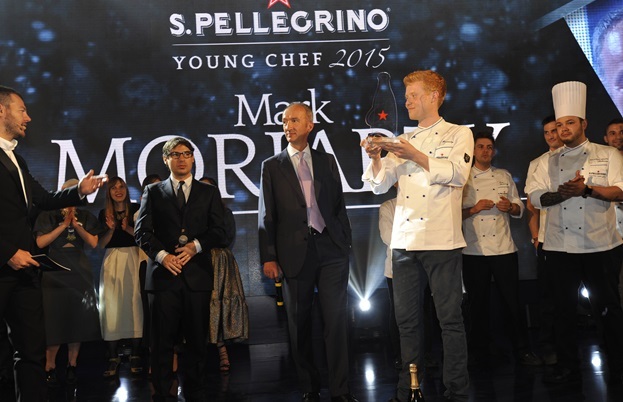 Mentored by Clare Smyth (Chef Patron, Restaurant Gordon Ramsay), he was recently crowned San Pellegrino's Young Chef 2015, beating 20 other chefs from all over the world. His cooking focuses on classic Irish dishes, but with a modern twist – we’re particularly intrigued by his Guinness porridge dessert. Tickets for Mark’s dinner are £100 per person, which includes a five course tasting menu with matching wines. 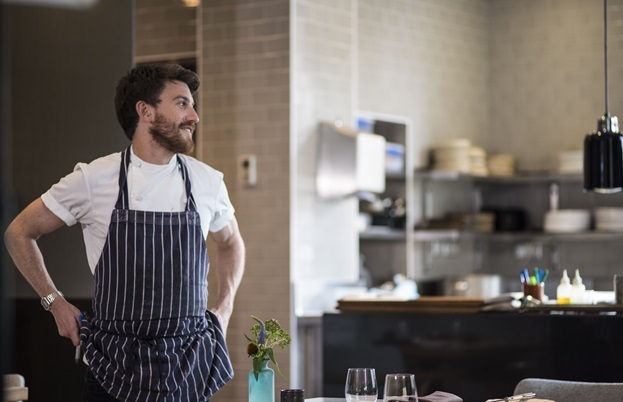 A very familiar face to Great British Chefs, Lee Westcott previously worked alongside some of the world’s most innovative chefs, including Tom Aikens, and Jason Atherton. Now running the Typing Room at Bethnal Green’s Town Hall Hotel, his creative flair has won him many plaudits, including rave reviews from some of the country’s top restaurant critics and three AA rosettes. His style of food is seasonal and modern with eclectic influences collected during his travels; treating vegetables with extra care and reverence. Tickets for Lee’s dinner are £150 per person, which includes a six course tasting menu with matching wines. Dr Bill Lumsden, Glenmorangie's Director of Distilling, will be hosting a special evening with different whiskies. A pioneer in the malt whisky industry, Dr Lumsden is the only person to be awarded three times with The Malt Advocate ‘Industry Leader of the Year’ award. Not forgetting the food, Chef Steven Ellis will be creating a menu that will be paired to each whisky. Previously working for Jamie Oliver and Gordon Ramsay, he is currently preparing for the opening of The Oxford Blue in Windsor. Tickets for the Glenmorangie dinner are £100 per person, which includes a five course tasting menu and matching whiskies. With a Michelin star-studded background, last year Russell Bateman won The Craft Guild of Chef’s National Chef of the Year award. Now Head Chef of Colette’s at The Grove in Hertfordshire, he has already achieved 3 AA rosettes and a score of 6 in the Good Food Guide 2014. Along with a fantastic four course menu, you’ll also be able to ask Russell your questions – whether you’re looking for inspiration for your own culinary career or hoping to get some everyday cooking tips. He’ll be joined by Clare Smyth (Chef Patron, Restaurant Gordon Ramsay) and Daniel Clifford (Midsummer House), making this a unique opportunity to speak to those at the top of their game. Tickets for Russell’s dinner are £150 per person, which includes a four course menu with matching wines and cocktails. Another night featuring the award winning Russell Bateman, Head Chef of Colette’s at The Grove in Hertfordshire. He’ll be joined by Phil Howard (The Square) and Alyn Williams (Alyn Williams at The Westbury) making this a unique opportunity to speak to those at the top of their game. The dinner will also provide an ideal occasion to ask Russell and the guest chefs your questions and find out what it takes to achieve culinary success. James Lowe’s much celebrated Lyle’s has been bringing food lovers and the country’s best chefs down to Shoreditch in their droves since it opened in April 2014. Well-known for his seemingly simple, yet beautifully flavoured dishes, he takes inspiration from his network of farmers and fishermen – letting the food speak for itself. With his Meet the Chefs menu, he’ll be featuring foraged ingredients and the finest produce Britain has to offer. Tickets for James’s lunch are £100 per person with matching wines and cocktails. Finally, to finish off the series, Lottie Muir aka The Cocktail Gardener will show you how to make four unique cocktails, from the Woodland Martini to the Raspberry and Scented Geranium Sour. You’ll enjoy a welcome cocktail on arrival, get creative behind the bar and drink your own creations (worth over £60), while enjoying canapés from the kitchen. Tickets for the cocktail Masterclass are £30 per person with matching canapés. If you would like to attend one of the Meet the Chefs dinners, you can reserve a table here.